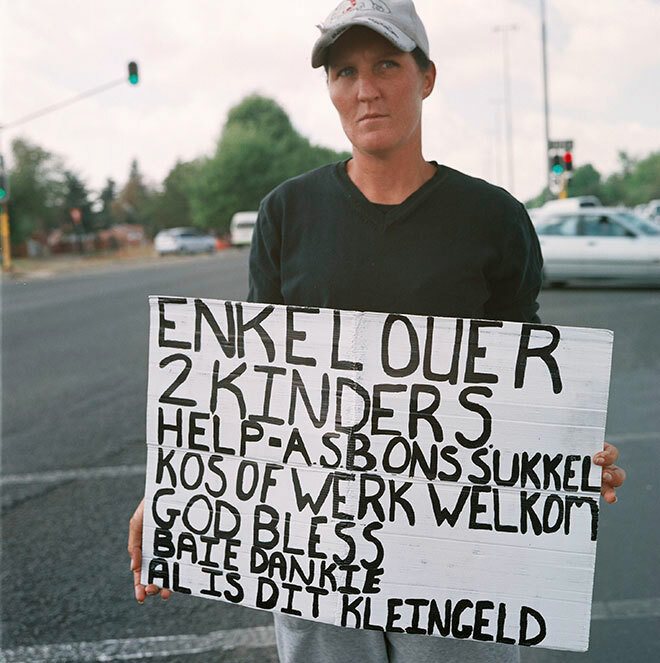 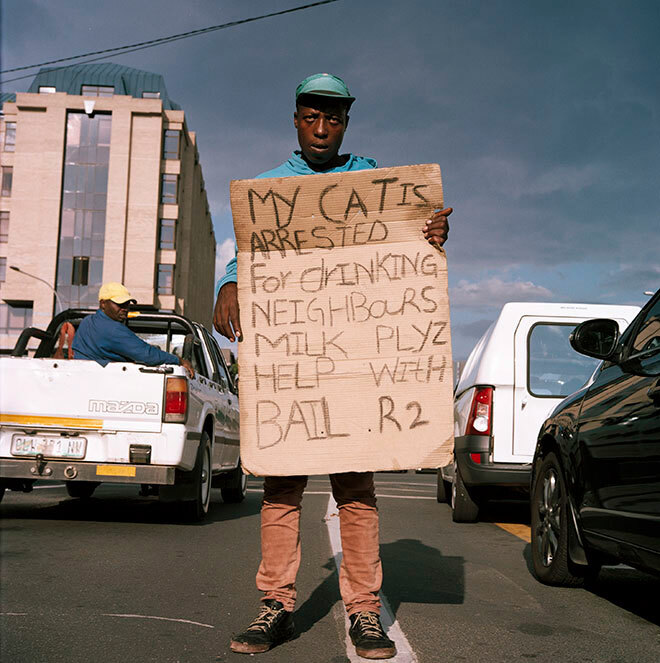 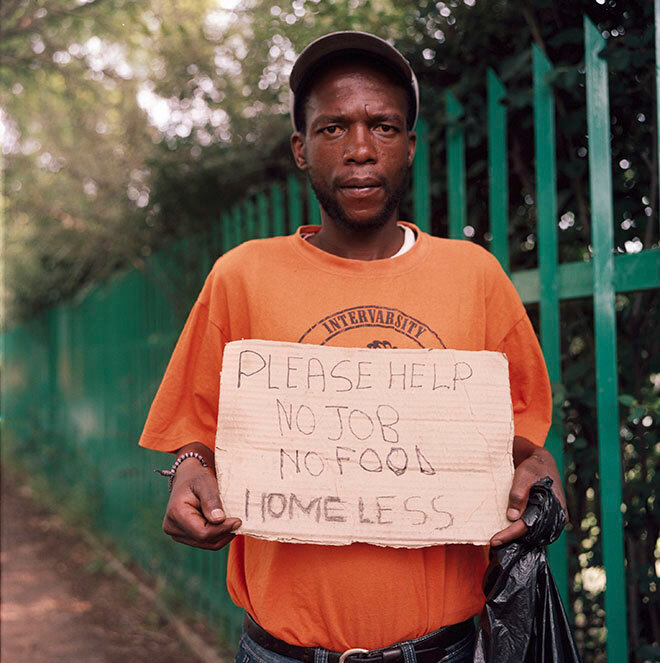 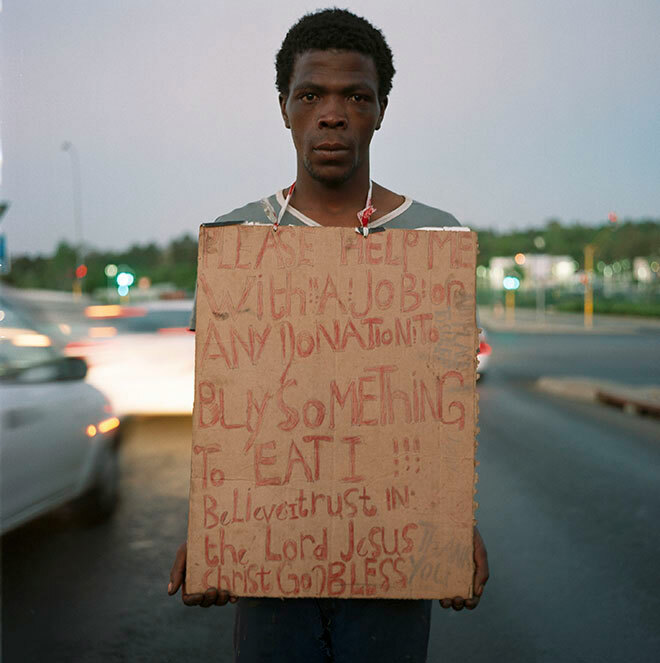 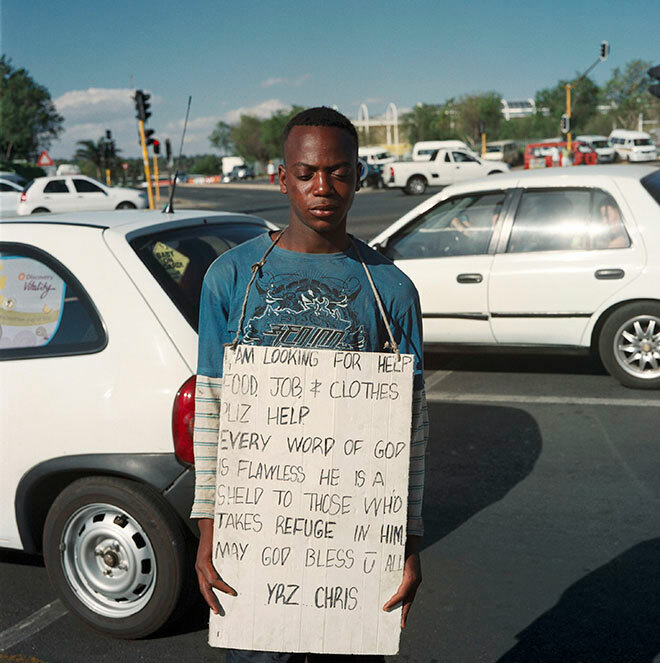 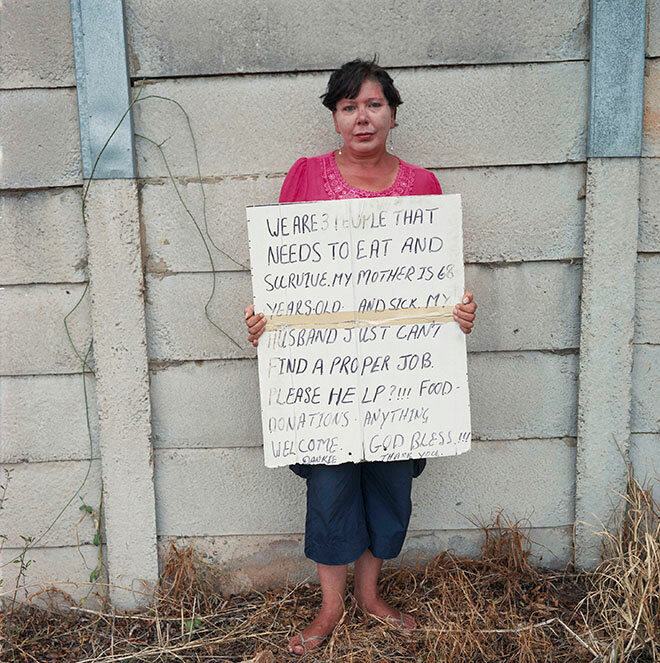 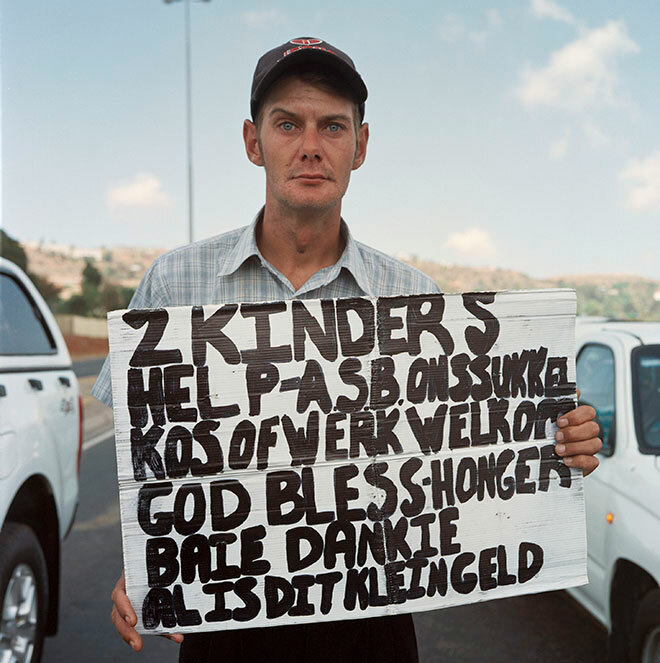 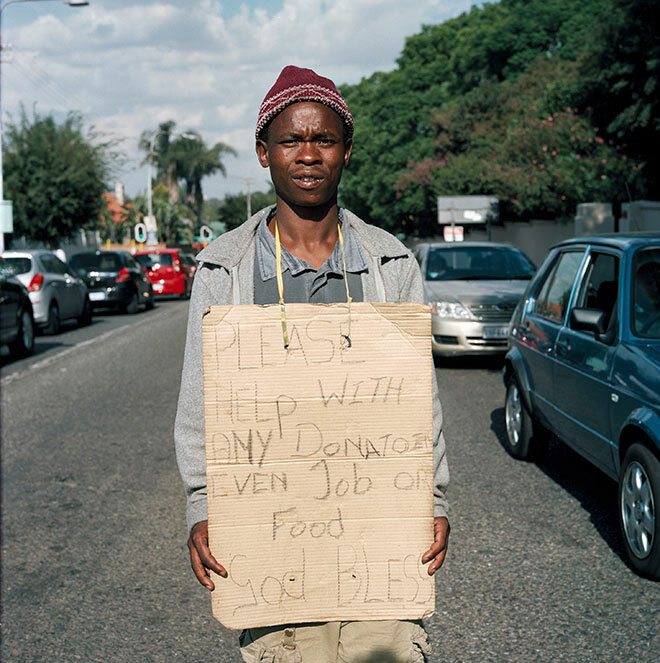 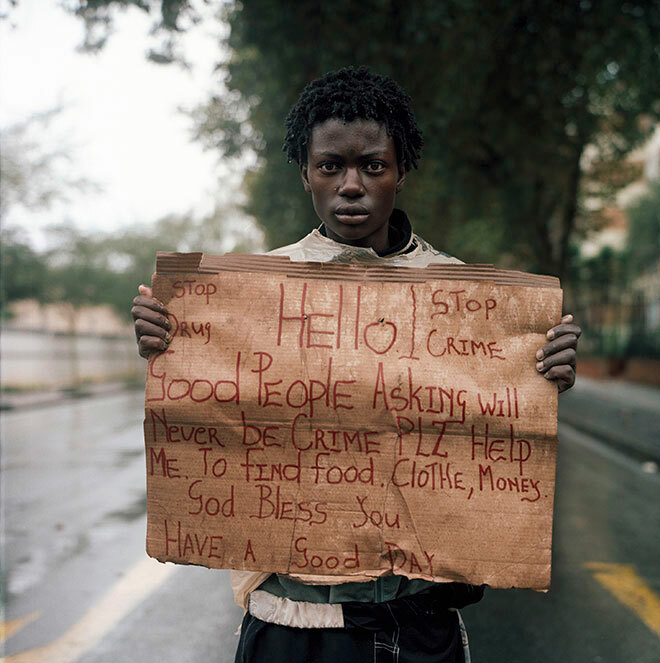 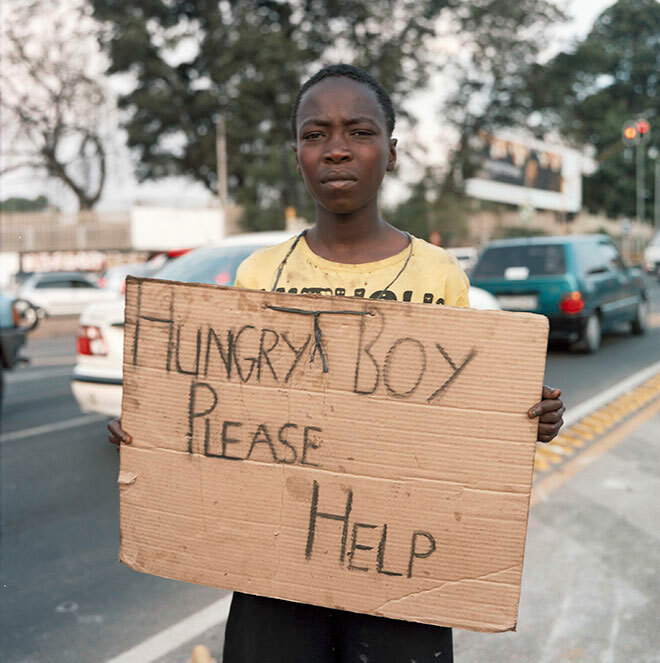 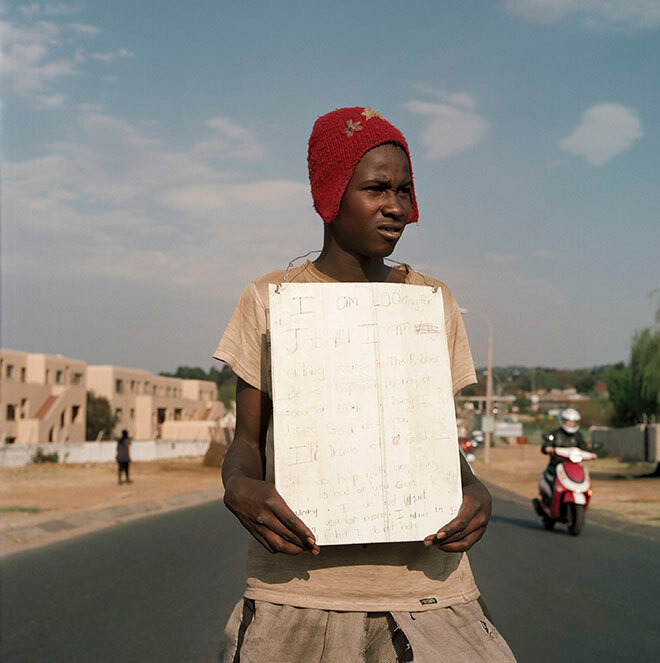 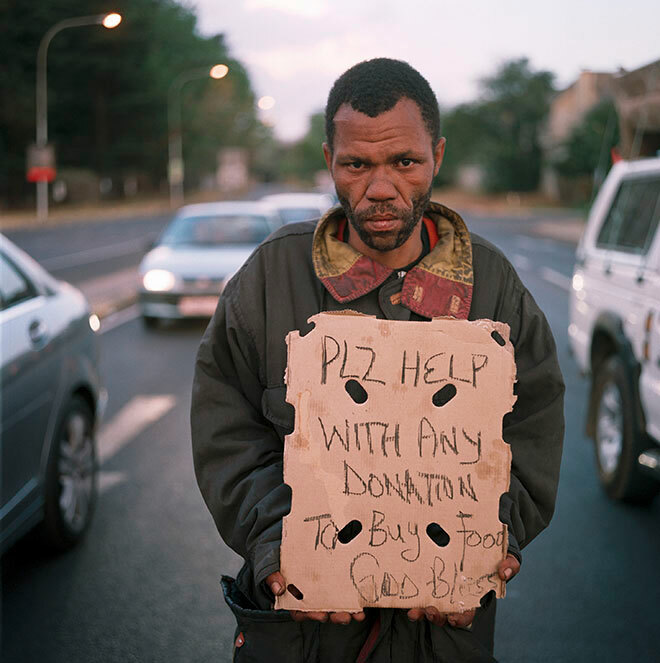 On first arriving in South Africa, I am always struck by the many beggars who stand on Johannesburg’s streets holding signs with a variety of requests and statements. 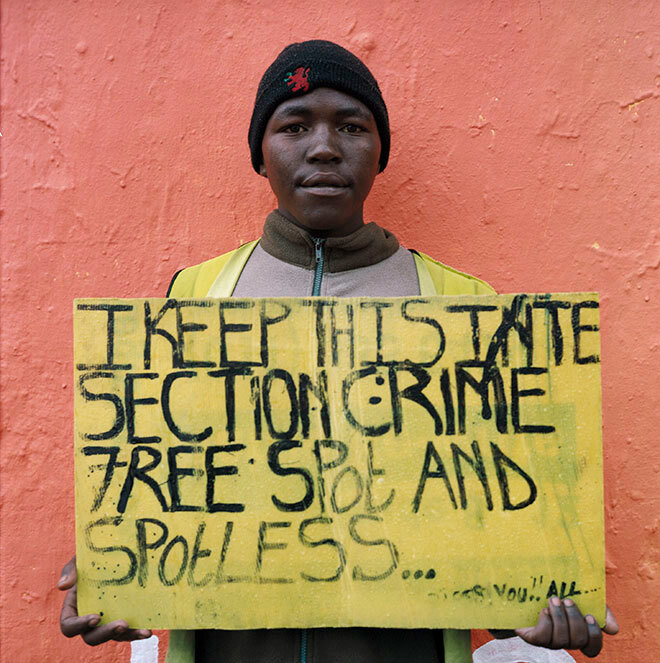 The nature of each sign, along with its maker, tells a unique story. 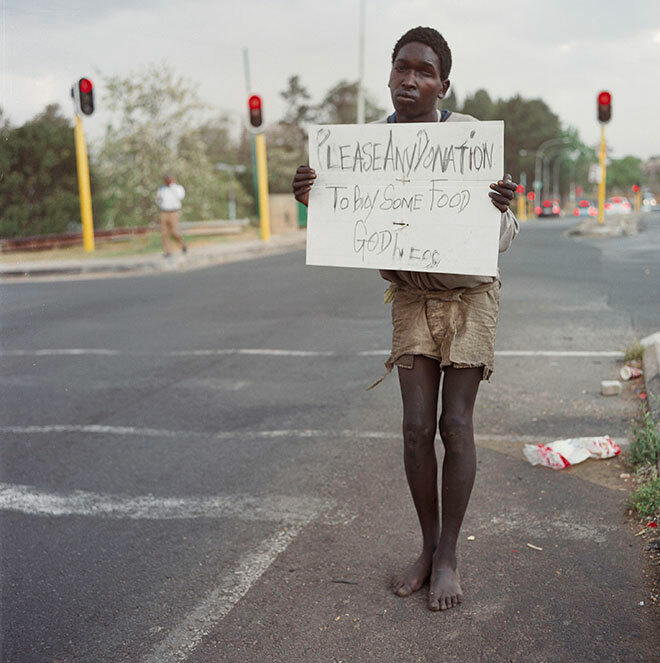 All are interesting characters with a wide variety of perceptions about what they do. 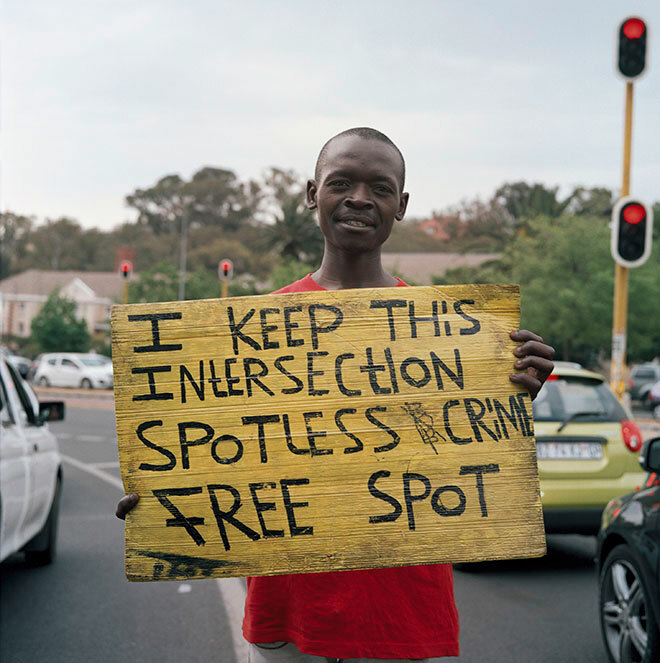 Some see their presence at the intersection as a job, where their task is to keep the area clean and establish cheerful relationships with drivers who pass them regularly. 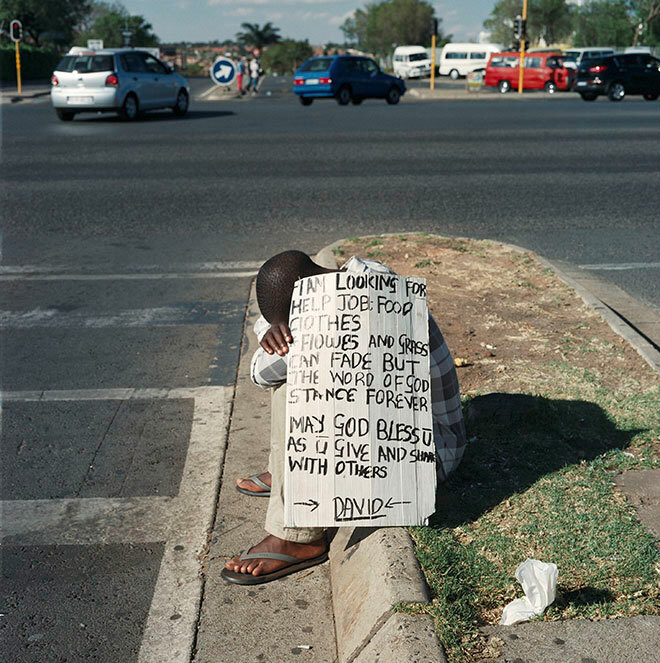 Others see it as an act of desperation, about which they feel ashamed. 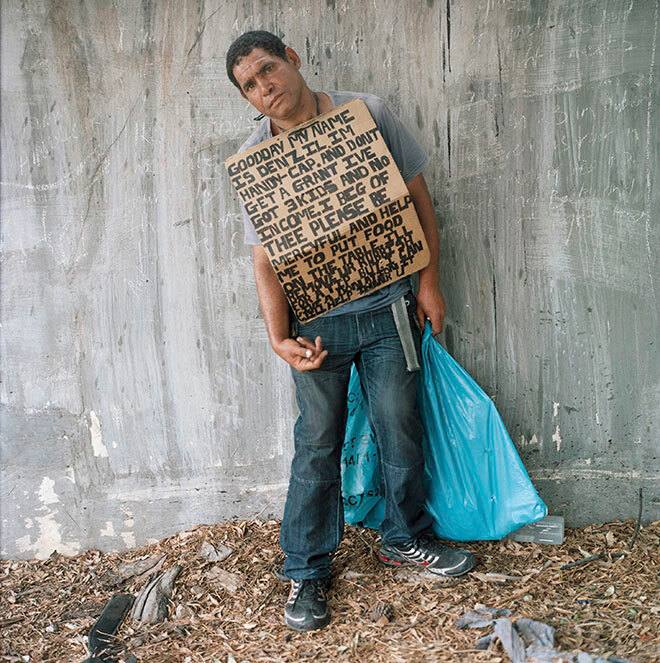 I am drawn to make these images not only by the people themselves, but by their reflection of a practice that has become common in contemporary art today: the use of signs to make statements to the world about our inner human condition. 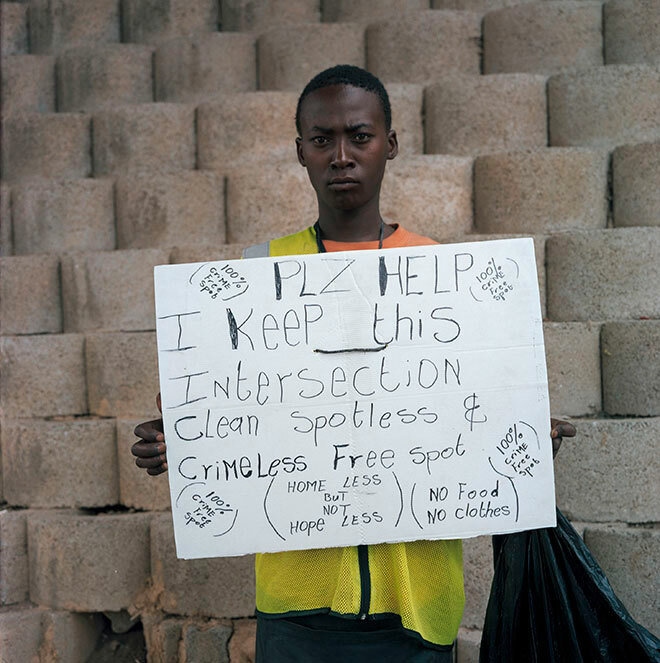 Begging Signs is one of my most recent projects, and remains a work in progress.